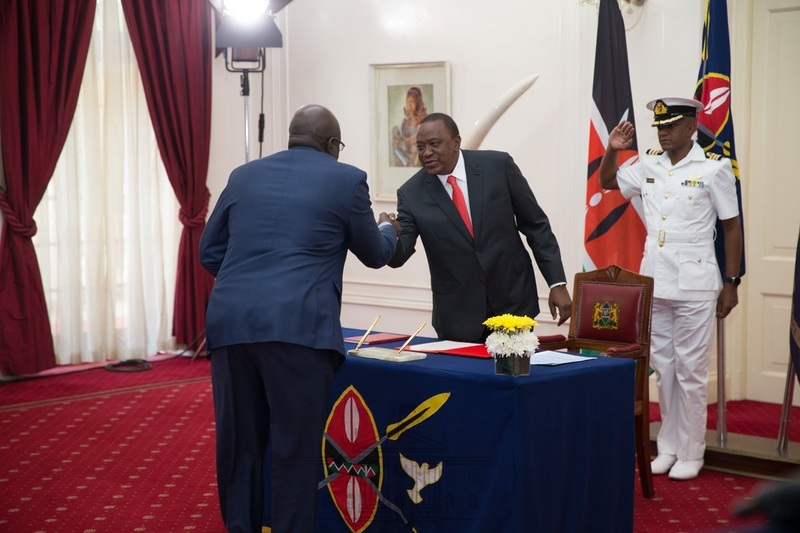 Tuesday March 26, 2019 - President Uhuru Kenyatta has sent out a powerful message of encouragement to the new Cabinet Secretary for Education, Professor George Albert Omore Magoha, who was sworn into office on Tuesday morning at State House. Uhuru expressed high hopes in Magoha saying he was counting on him to deliver the new education curriculum that has already faced passionate opposition from teachers’ unions. KNUT Chairman, Wilson Sossion, has already expressed his reservations against the new syllabus saying it won’t materialize because there aren’t enough teachers to actualize the new syllabus. The President said he was sure Magoha will continue with the legacy he had left behind at the Kenya National Examinations Council (KNEC) where he managed to deliver credible national examinations. “I am now counting on you on the 100% transition from primary to secondary schools, good management of resources and in implementing the new curriculum,” Kenyatta said.